The Lean Six Sigma Black Belt training is the most exclusive certification for the Lean Six Sigma quality management methodology. This Six Sigma Black Belt certification course is the final stage of the Masters program that will position you as an expert in implementing Lean, Design for Six Sigma (DFSS), Six Sigma Define, Measure, Analyze, Improve and Control (DMAIC) and Total Productive Maintenance (TPM). Join this exclusive worldwide group of 4000 certified Lean Six Sigma Black Belts today. Our Six Sigma Black Belt training and certification program is modeled on the Body of Knowledge (BOK) of the American Society of Quality (ASQ), with cutting-edge and real-life applications integrated with the training section. Once the Lean Six Sigma Black Belt training is complete, participants will be able to implement the concepts of Lean, Design for Six Sigma (DFSS), Six Sigma Define, Measure, Analyze, Improve and Control (DMAIC) and Total Productive Maintenance (TPM) using statistical tools and analysis. Apply basic and more advanced statistical analyses to determine the relationship between key inputs and process outputs. Effectively manage team dynamics and understand how to work with multiple levels of leadership to remove barriers and achieve project success. Close projects and hand over control to process owners. Present projects to instructors, peers and managers. Demonstrates your ability to apply highly complex enterprise- wide DMAIC projects. Positions you to integrate Lean Six Sigma as a long-term continuous improvement philosophy in you organization. Improves your ability to employ problem solving and business know-how on the job to enhance internal processes. According to recent surveys by sixsigma.com, the median salary for certified professionals in this field is approximately $83,107 per year and can go as high as $175,000. How will I become a Lean Six Sigma Black Belt certified professional? Simplilearn offers two levels of Lean Six Sigma Black Belt Certification – Technical and Functional. The Technical Certification is offered after the trainee completes 85% of the course and passes the LSSBB Certification Examination with a minimum 60% score. After the certification, the trainee should submit a full-scale live DMAIC project for case review by the LSSBB faculty. Upon completion of the successful review, the trainee will be provided with an Lean Six Sigma Black Belt Functional Certification. A typical full-scale DMAIC LSSBB project would take 8-9 months (1st Phase) to complete and the LSSBB must be able to show a projected savings of at least $200,000 from the project. Exam Fee is included for all countries except India, India Subcontinent, and Africa. The candidate can get certified from IASSC in Lean Six Sigma Black Belt by appearing for the IASSC Certified Lean Six Sigma Black Belt exam and scoring a minimum of 580 points out of a total of 750. Your exam voucher fee is included in the price of this course. However, you must procure the exam voucher within 3 months from the date of course purchase.In the event that an exam price does go up and you have not yet booked the exam, you will need to pay the difference in amount to Simplilearn. Great training with add-on examples. So many good examples were added at just the right time to better explain what the slide was telling us. Great job! This course was thorough and engaging; the concepts were relevant and applicable to my work. The instructor was knowledgeable and kept us engaged. I have enrolled in Lean Six Sigma Black Belt training course with Simplilearn. The training course materials was really simple to learn. There are three simulation tests plus a final test that help everyone to successfully pass the original test. Also, the customer service teams are amazingly polite and supportive. Overall, I am happy with Simplilearn. Excellent course with clear demonstration of concepts. I enjoyed the presentations. It was really didactic, clear and with good examples. Very nicely explained. Thank you, I enjoyed your class! Training was very good; a step ahead on the means of understanding concepts of six sigma better than that of green belt level. Trainer's knowledge is precise & has depth simplified to general terms & concepts are clear. Training has been very good or nothing less then excellent. Knowledge wise, course wise, everything was up to the mark. Overall feedback of the training is good. The course material, e-book & online learning helped me in learning important concepts. Covered Key Concept like regression, correlation, hypothesis testing & DOE in great details with lots of examples. Minitab tutorial was very well explained. Over this course I've had a great opportunity to develop my skills and apply all the knowledge acquired on my current job. I shared my experience moreover I've learned about worthwhile concepts, skills & methods essentials for my career. I appreciate Simplilearn for arranging such an effective training session. Specific to the need of practical application. One on end-to-end exercise helped me to relate in how to use them. All of our highly qualified and certified instructors have 20+ years of experience working and delivering classroom training. Do you provide PDUs after completing the training? How many hours of PDU certificate do I get? Yes, we offer PDU certificates to candidates who successfully complete the training. You can earn 35 hours of PDU certification. 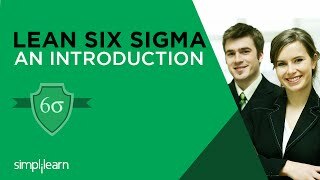 What is the difference between Lean Six Sigma Black Belt and Six Sigma Black Belt? The Lean Six Sigma Black Belt (LSSBB) Body of Knowledge will train you on Lean Management and Six Sigma tools and methodologies. How long will it take for me to complete the LSSBB Curriculum? The five-day training module for LSSBB will train you on the concepts. By the end of the five days, you will be ready to use the concepts and tools in your real-life applications. That being said, Six Sigma is a discipline of continual learning and practical applications. What are the prerequisites for me to enroll for the LSSBB Curriculum? Do you offer Master Black Belt Certification? Simplilearn offers a Lean Six Sigma Masters Program <LINK> that provides comprehensive training, including Lean Management, Lean Six Sigma Green Belt, Minitab, and Lean Six Sigma Black Belt. Why should I choose Simplilearn for LSSBB over other courses? We are pioneer in the field of online training and certification and offer a blended delivery model, combining live online classroom training and self-paced e-learning. We have trained 12,000+ professionals across 115 countries, offering a multitude of professional courses to meet every unique requirement. Do I get post-program support? Yes, you will get support through forum and community discussions. Once you register with us for a course by paying the course fee, you will have 24/7 access to the e-learning content on our website. An automated confirmation will guide you through the process.